Training and maintaining a strong staff is one of the key tenets of a retail business. Your staff is the face of your business for many of your customers. It could be the employee at the checkout counter who builds a rapport with regular customers or the delivery driver who makes annual stops at the same locations. These employees come to symbolize your business to your customers in a personal way. That kind of relationship is emphasized even more with an outside salesperson. Outside sales can be an active part of your workforce, bringing business to your doors rather than waiting for customer to walk through them. However, maintaining an outside sales team or even growing one from scratch takes a different level of training and responsibility compared to an employee on the salesfloor. 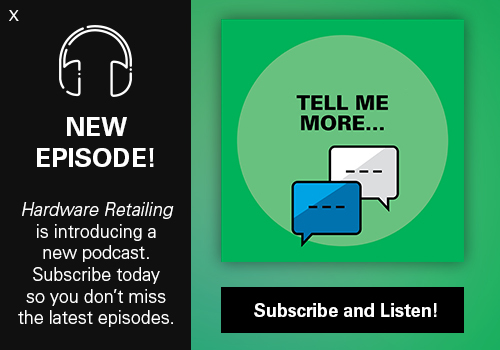 To help collect insight on how best to hire, train and manage outside sales employees, Hardware Retailing spoke to two retailers who have aggressively grown outside sales teams to help build their business. Koopman Lumber maintains seven locations in Massachusetts as well as a central lumber distribution center that focuses on building materials. The company employs 27 outside salespeople, with the staff broken up into smaller teams that focus on specific markets. 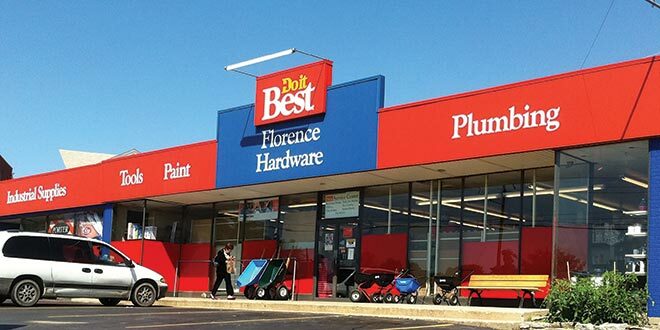 Florence Hardware in Florence, Kentucky, employs two outside sales employees with an emphasis on maintaining a strong presence in a growing county and community. These retailers show that no matter the size of your operation, outside sales can play a factor in your success. Florence Hardware in Florence, Kentucky, has built its business and brand recognition by emphasizing an outside sales force. The company’s training program has helped develop talent that can bring sales into the business. What Can Outside Sales Do for You? The goal of any sales team is obvious: growing sales and building business. What sets outside sales apart is the active nature of the position. The outside salesperson can seek out businesses and clients to offer services and products offered by a retailer. These clients may not have been aware of the option to use a hardware business for their needs or even that such a service was offered. For Rob Arnold, general manager of Florence Hardware, outside sales fills a needed category in his business’s chain of responsibility. 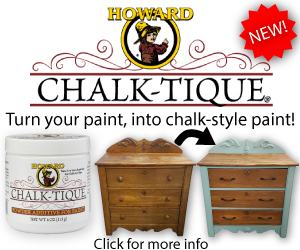 The outside sales team is part of a business plan that is designed to both capture new business while also promoting the culture of Florence Hardware in the surrounding areas. Arnold points to his business’s focus on heavy commercial and industrial industries, such as manufacturing, local school systems and business’s maintenance departments as a key factor in maintaining an outside sales team. The salespeople in the community can help sell the kinds of products and services that a client might not think a store with “hardware” in its name can provide. Larger operations are prime targets for outside sales teams. This can include residential builders or commercial businesses that oversee large-scale operations, says Tony Brookhouse of Koopman Lumber. Having people keeping in touch with clients on a consistent basis and looking after their needs allows those clients freedom to manage their own priorities and streamline their business. These businesses expect to make purchases through a contact, not in a storefront, Brookhouse says. Having salespeople on the road and approaching customers at their offices or work sites keeps a retailer at the forefront of their minds. Products that can be of use for these clients don’t have to be limited to the construction or industrial markets either. Florence Hardware’s work with governmental and school organizations highlights how other products, like detergents, mops, toilet paper or other bulk and often-ordered items, can be supplied through a local retail store. Outside sales can seek out this business and open up new avenues for sales growth. Outside sales personnel can be a great asset, but they also require different training and management styles than staff members more common in retail hardware stores. Several key attitudes and traits are common in successful outside sales candidates. Many of these characteristics lend themselves to a strong candidate that is trusted with a fairly autonomous position that can reflect strongly, either positively or negatively, on the employer. Candidates can come from a variety of backgrounds. They may be an experienced outside sales staffers who worked at other businesses, or a current employee who has a different role but shows aptitude and interest in the position. Some of the key signs of a strong candidate are strong communications and relational skills, Brookhouse says, as well as a willingness to put the time into training and learning new skills. That emphasis on training is why Arnold doesn’t look for product knowledge as an essential quality in a strong outside sales candidate, at least in the initial phases. He prefers strong signs of trainability and people skills as the top starting criteria, with much of the sales skills and industry know-how coming during the training process. “We want a hunter’s mentality. Experience is a plus, and knowledge is helpful, but tenacity is more important. We want people who want the big account, the big fish that’s out there. 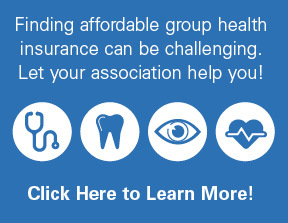 People who can connect the needs of the client with the services we offer,” Arnold says. The proper attitude for a candidate is also a tough fit because, as both Arnold and Brookhouse say, the position requires confidence and resiliency in equal measure. A top candidate cannot get easily discouraged by rejection, but also must pursue leads doggedly and expect success. Often, Arnold will gauge a candidate’s attitude and possible future choices by intentionally slipping “mistakes” into the interview process. Such methods, like intentionally using the incorrect name for a candidate in an email and seeing how they react, can offer insight into future client relationships. Being able to continue building a relationship without allowing small errors to derail the interview process is a plus. 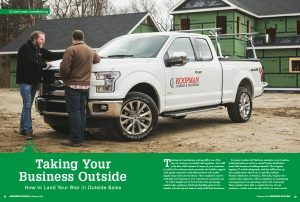 Koopman Lumber and Hardware maintains a significant outside sales presence.The business has built a strong infrastructure around its outside sales team that offers support and helps its salespeople maintain client relationships and bring in sales. Once an outside sales team is assembled, it falls to management to create the kind of environment that fosters success. This is true for any employee in a retail business, but developing an outside sales department can have unique factors involved that aren’t found in other areas. Training and support play major roles in determining the success of a retailer’s salesforce. Training not only encompasses the details of a retailer’s business and what a trainee will be selling, but the essential sales tactics that each employer wants its people to use. The importance of training is at the center of Florence Hardware’s training program, which Arnold has developed and improved through the years. 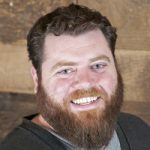 Through his experience in the industry and in sales, he’s built a training program that he feels best takes a new outside sales candidate from just entering the industry to closing accounts. The training takes new hires through each step of a sale, from presentations and sales calls to closing clients and how to route their travel times and routes to different customers throughout a day. “We teach each step of the sales cycle, from the moment you walk in the door to when you close the sale. We teach them how to interact when around clients, from the owner to the guy in the backroom stocking inventory. We’re willing to invest in these employees and build them into what we want and need them to be,” Arnold says. Training also consists of role-playing and mentorship programs, allowing trainees to grow comfortable with potential business interactions and experiencing the workday with a more experienced colleague. While Florence Hardware’s training methods were developed in-house, Arnold suggests any retailer take advantage of distributor or association relationships to build training programs for salespeople. Trainers can tweak these training programs with specific methods or inspirations to mold a sales team for their particular market. Another aspect of managing an outside sales team is support throughout the company. 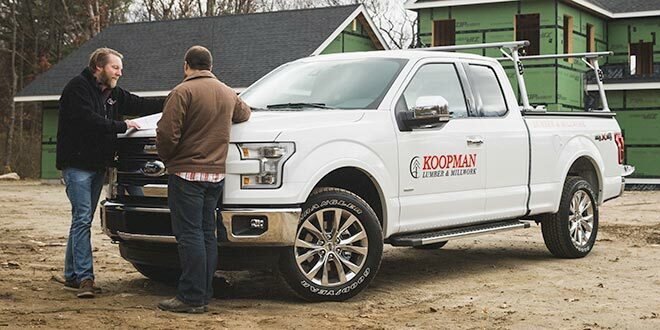 Koopman Lumber has built an infrastructure that backs up its team, with one inside salesperson for every two that works outside to offer support. 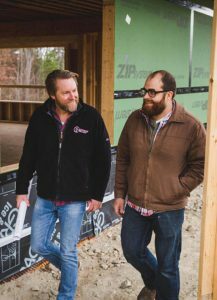 Another example of a way Koopman Lumber’s outside sales team is supported is through the in-house engineering department, which specs and rates products for specific tasks, like building in a hurricane zone. These backup structures help keep an outside sales force informed while freeing them to care for their clients, Brookhouse says. “Our sales guys just need to pick up a phone and get an advisor to get that information for a client. It really helps streamline information for both salespeople and clients,” Brookhouse says. 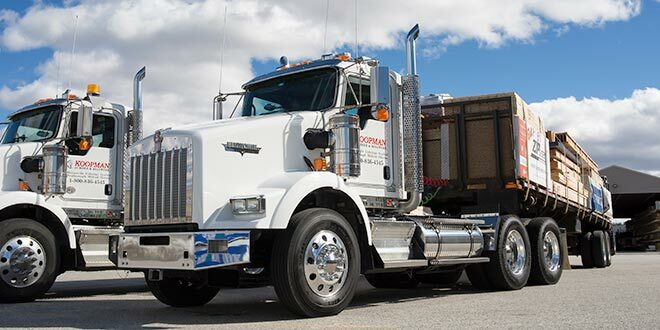 Equipment is another area of support where Koopman Lumber has invested. The company has three mobile showrooms that can accompany a salesperson to a job site for a client to peruse. It also has a mobile point-of-sale system that allows salespeople access to the full inventory when on the road. Most POS providers now have mobile options among their packages, Brookhouse says, but it’s not the equipment that is necessarily difficult to put together. Building a secure and fast network that can allow access from remote devices and outside portals is the key.